I know I went from multiple posts every week to practically nil in the last 2 months. If you read my Beauty from Ashes post you know the basis of why. It has been a sort of cleansing time for me. I knew my blog was heading in a good direction when bad direction thoughts began to over-run my thinking... ideas which obstructed God's leading by inviting commercialism and strict restraints hindering Holy Spirit movement through the words I feel led to share here. This seems to be a cycle for me and this wonderful blog God has blessed me with. A cycle I feel, hopefully this time, I am ready to in-acct barriers on in order to break. So many wonderful bloggers out there have such great posts which not only encourage but also influence... "10 Ways to be a Better Wife" or the "5 Truths Every Woman Should Know" (completely fictitious titles). The a-typical attention grabbers even our favorite magazines use to sell copies. I will admit, I gravitate towards these posts because I know I will get quick-easy answers to the content provided. Other wonderful posts run on themes where you can reliably check in each week for the next dose of content. 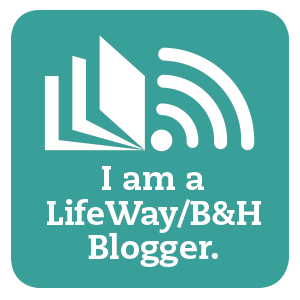 Nifty buttons are available to share the content and help promote the blog. I love these too because I feel like I am part of something... I feel like I get to know the blogger in a progressive and growing virtual relationship. While I haven't quite given into blogging from the angle of "10 great ways to....", I have given into the second. As a matter of fact, I found myself strapping into multiple threads and getting tied down to too much in each week. Menu Monday was fine and fun and a way to encourage women in the kitchen (something I feel called to do). Then came Walking Through the Word and Keepers at Home... great concepts in and of themselves... but every-single-week, 3 posts with specific focus.... linking up to blog parties to get the word out.... tagging the latest articles to it's respective pages on my site (because blogger doesn't automatically do that).... I felt like I was suffocating. I couldn't ease up and simply share my heart, like I did in the Beauty from Ashes post, there was no time left. I was becoming overwhelmed by the idea that I had to get the posts up, on top of the social media boosts for Scripture pictures and Mid-week music. In the midst of all this posting was homeschooling, caring for the house and hubby as well as other callings on my heart. Just not enough time for it all, let alone time to unwind and simply smell the flowers. I received a passel of great books for Christmas I didn't even have time to read for all my running back and forth with bloggy obligations, house, schooling and all. Even the idea of coloring outside the lines with the kids led to panic over what wasn't getting done. Life is fleeting. My 2nd oldest graduates in just a few short months... my 3rd is looking for a FULL-TIME job this summer to begin saving for the mission field calling he will jump into in just 2 years. 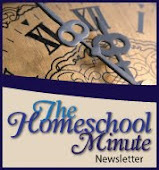 My youngest starts 8th grade in the fall and I look back on the blur of the last 9 years of home educating and wonder: where did it all go? When did we move from cut-and-past paper projects to full-on research papers and self-paced learning? When did I go from being overwhelmed by all the neediness and time required to be with my kids to being left in the dust and begging them to enjoy an outing with me?! After all the beautiful things God showed me out of those ashes in February, I saw where I was quickly sliding the scales to an imbalance in my desperate attempt to justify my existence and scramble to fill my nest with something so when all my chicks fly out it isn't devastatingly empty. In the process I lost sight of the here-and-now. Of how much I don't want to miss because I over-obligate in all the less-then-best places. No, I am not going to stop blogging! I don't feel led to and I'm grateful because I love it so much! Yes, I am still going to do Menu Mondays (probably starting back up next month) and periodic Walking Through the Word and Keepers at Home installments but not so much on a weekly schedule, instead, I will post those as the Lord leads. Yes, I will still do Mid-Week Music on Facebook (it is my fave!) and scripture pictures when I can get them made. ... but ALL of this will be done with open hands... ready for God to move things in-and-out and even replace with other Messages as He needs to. In the mean time, I am making more time to read (I have even finished THREE WHOLE BOOKS in the last month and I'm almost done with a fourth!! ), I am leaving myself more open for when the kids do want to play a game or go for a walk... which we have done much more and all have enjoyed. I am giving better attention to my home which provides a more content hubby... not to mention that wonderful accomplished feeling I get when my little world is in order. I am reaching out more, listening to God more, and simply living more fully. In the end, I realize, the best blog posts aren't the ones with "5 ways to..." or hanging on a meme religiously posted every single week... no, the best posts come from those who have truly LIVED life each week and choose to invite readers in to share it with them. Those posts are the sustainable ones... the ones worth reading and the ones which offer the biggest picture of how God is working in a life that week, however regular or irregular they are posted! After all, that is what blogging is meant to be isn't it? Not a business, but rather, a sharing of life with the hopes of encouraging others! I pray your nest is always full whether with little birds or beautiful memories... that you live life to the fullest now, seizing every possible opportunity to seek, see, and reflect God and breathe in the beauty and wonder of life he has given you... no matter what that life may be.